Landlords nationwide can reduce their rental risk by using LeaseGuarantee to cover costs for evictions, legal fees, and damages up to $10,000. As of yesterday, LeaseGuarantee Analyzer will be included with all tenant screening reports that include an eviction and credit report. If eligible, you or your applicant will be able to purchase a LeaseGuarantee contract and providing you with the ultimate protection and elimination of risk. 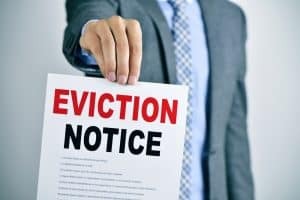 “Up until now being a landlord meant potentially losing thousands on an eviction or damages. Even after screening a tenant you couldn’t guarantee that person would be reliable. Now LeaseGuarantee will almost completely eliminate these rental risks and give landlords peace of mind,” says Robbie Cronrod, VP of AAOA. LeaseGuarantee not only provides you with the safety net you’ve always wanted but helps you rent vacancies more quickly. A LeaseGuarantee contract may even be used in lieu of a cosigner or to reduce the security deposit, helping you accommodate a tenant with questionable credit history or insufficient cash to move in. Should a tenant default and/or damage your property, LeaseGuarantee would pay you the full judgment amount (including legal fees) up to the amount of the LeaseGuarantee contract, guaranteed. LeaseGuarantee provides landlords with 12 months of protection and four coverage options – $2,500, $5,000, $7,500, and $10,000. Either the landlord or tenant can pay for LeaseGuarantee, starting at $299 annually for a $2,500 contract*. LeaseGuarantee covers all parties to the lease agreement, so if one applicant is approved, the other co-applicants will be covered as well as long as they are on the lease agreement and judgment. This AAOA member benefit is great for all landlords looking for the peace of mind in knowing losses are now a thing of the past. Additionally, a Rent Guard contract has benefits built in for tenants too. Tenants with below average credit scores struggling to get approved in competitive rental markets can now find a new rental more easily. If at the end of the first year a tenant has maintained a good payment history, he is rewarded with a certificate of compliance that may help them obtain better loan rates on future purchases. All in all, a Rent Guard contract provides a win-win for both the landlord and tenant.